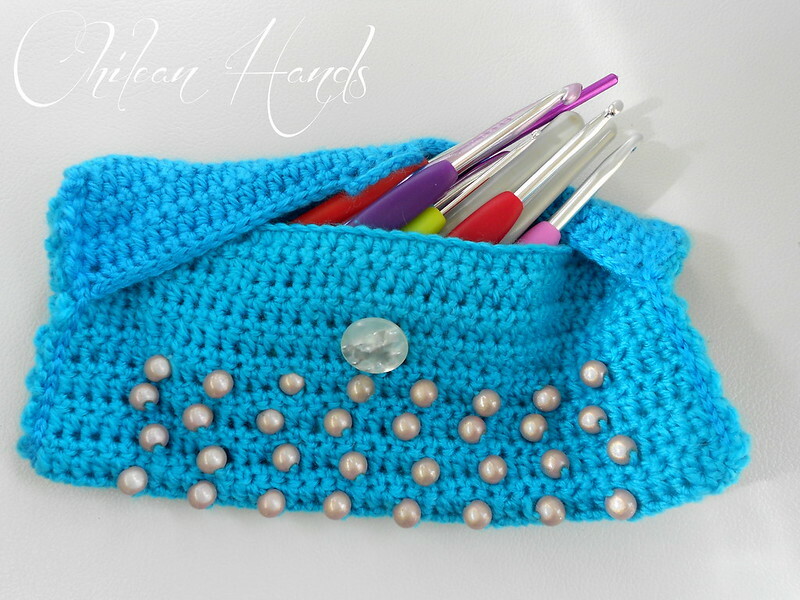 Basic crochet part 2 + free pattern! 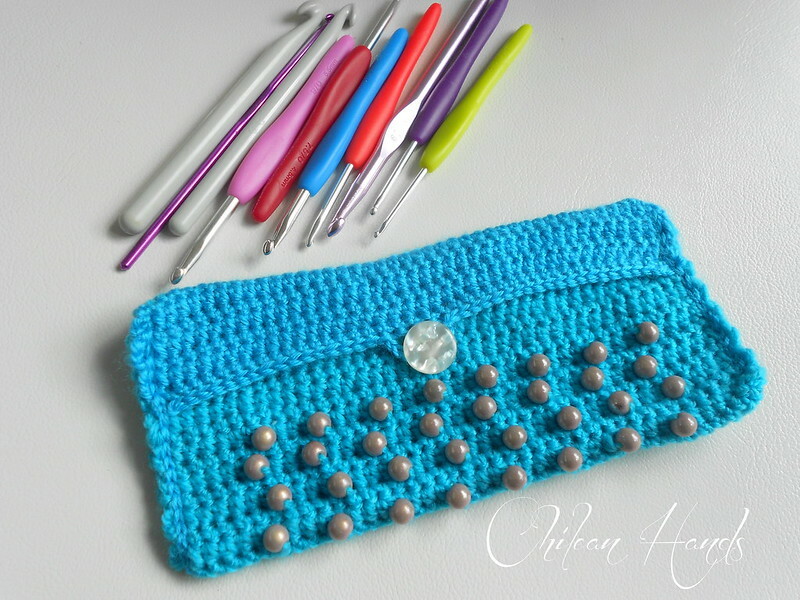 The crochet stitches are very simple and are basically continuously based on the best-known. The first thing I want to show is how to insert beads or beads which are about a size of 5 mm x 7 mm. To work with them first we must pass them all by material that we will use. At the time of use them, approach (in this case) one at a time and knit a stitch above the trinket. Then we perform an LDC, jumping a point that lies under the trinket. The next stitch that I want to show them is once again a very basic, that altogether the previous is very useful both to start or finish a project. The dwarf point, serves as what I call, glue on the fabric, does not count as a point in the majority of its uses. To give a final "touch" to a work and make it look more neat. Dwarf point is taking a turn in the crochet, crochet is inserted into the tissue, removed a return, and using it is passed by the turn which was in crochet, basically it is like a chain but with tissue I in between. Using these stitches that are basic, and not I have forgotten the high point, I invite them to put them into use by performing this "multi-use case"
Work and in turns 2 and 3, 12 times. Work turn 2 once more. To finish: 18 pe. , 10 cad, skip 2 pts., pe 18. close. With the work in the form of rectangle bending his follows. Leaving the flap with the buttonhole in front, with the last 3 repeats of turns 2 and 3, ensure the work with pins. Begin to close with pe. With the material underneath the work insert the crochet in the upper left corner and go through 3 layers of the work, remove a return of wool in crochet, insert crochet back into the next item down through the three layers of fabric and take a second round of material and pass it through the previous round (knitting a dwarf) thus continue and close all the border and close. To work the other cost start from the bottom right corner, and proceed in the same way made for the previous Bank. Sew button in the center of the case. If you want to print this pattern, please click here and you can do it free! Thank you for your loyalty and hope like this tutorial and the points here shown, don't forget to leave comments and if you see my videos on YouTube to give you an I like!